Despite being one of the most successful cases of intergenerational language transmission outside of primarily English-speaking contexts, anglophone parents hoping to pass English on to their children in Barcelona often express deep concerns about how they can best support their children’s linguistic development in English whilst raising them plurilingually in a non-English-speaking setting. This post elaborates on the initial findings of the Family Language Questionnaire, undertaken as part of the PhD project Family Language Policy and Globalisation at the University of Barcelona. It compares the situation of English language transmission in migratory contexts with that of other languages, and explores some of the main reasons why it is that English-speaking parents might still voice concerns. The Family Language Questionnaire provides data about the languages used by and between 659 individual members of 179 families. Given that the questionnaire focusses on the intergenerational transmission of languages as reflected in family member’s language use, the main criteria was that at least one of the parents had English as a first language (L1), defined as the language or one of the languages acquired at home as a child. Children had to be aged between 0-16 and the family had to be resident in the àmbit metropolità de Barcelona at the time of questionnaire completion. It was found that 97.4% of the 231 L1 English-speaking parents covered in the survey data spoke English to their children. This figure is extremely high compared to data from a French family language survey in which Héran, Filhon and Deprez (2002) found that 85% of L1 English-speaking parents in their sample spoke English to their children, a percentage that was only equalled by Turkish and towered above the overall average of 35% amongst all languages. The high proportion of parents actively using English with their children is reflected with high numbers of children using it with their parents. When addressing their L1 English-speaking parents, 93.82% of the children who were able to speak at the time of data collection were reported to use English either alone (74.4%) or in combination with other languages (19.4%). This is well above the 76.67% of children in Flanders reported to speak their parents’ non-societal first language in a survey of family languages of school-age children in the officially monolingual city (De Houwer, 2007). Such high numbers reflect the results of other studies undertaken amongst other English-speaking populations in the Nordic countries (Boyd, 1998) and in Japan (Yamamoto, 2001). In the latter case, 84.7% of children spoke English (42.6% English only, and 42.1% in combination with Japanese) to their English-speaking parent. One possible reason for the higher result in Barcelona might be the fact that the Barcelona Family Language Questionnaire contains data from families with two English-speaking parents as well as with one English-speaking parent and other language-speaking parents. 82.25% of the 231 L1 English-speaking parents in the questionnaire were brought up with just one language at home in primarily English-speaking contexts (the UK, USA, Ireland, Canada, Australia, New Zealand and South Africa). These parents have not experienced growing up in two or more languages for themselves and consequently may have doubts about how two languages can be simultaneously acquired and whether the norms for linguistic behaviour that they might expect from a monolingual child can be expected from bi-/tri- or plurilingual children as well. Although findings from academics, among many Ellen Bialystok and François Grosjean, have done much over the past thirty years or so to transform attitudes towards bi-/tri- and plurilingualism, comparisons with monolingual linguistic development can still be commonly found – often alongside references to language delay or loss. De Houwer (2009b) illustrates the wide range of behaviours that can be considered as normal for children developing bilingually with four case studies, providing parents and educational practitioners with key milestones in bilingual development. In interviews recently conducted with five British parents of 0-5 year-old children living in Barcelona, all parents agreed that their children’s standard of English should be at native speaker level. This is often the goal for all skills, including accent and literacy. Such expectations will often need to be reinforced with language management strategies that promote regular opportunities for interaction with other speakers of English, as well as educational resources and, in some cases, formal instruction to support literacy development. Although there is a great deal of advice available online and in the form of parental handbooks, identifying which is most suitable for each family’s specific situation can be difficult for many parents. Studies analysing parents’ use of these sources suggests that parents tend to select advice that supports their pre-existing ideas about how bilingual development works (King & Fogle, 2006). Given the complexity of family language management processes and child development, there is no blanket solution for all families. In addition, Barcelona is an officially bilingual context which means that children will acquire two societal languages (Castilian and Catalan) alongside English and perhaps any other languages spoken by the parents. This may add to parents sense of insecurity. Are parents right to worry? There is much speculation in popular debate and in academia about whether or not parents are right to worry about their children’s linguistic development or not. Indeed, parents deemed sufficiently able to provide the resources and stimulation required for successful language transmission are often almost dismissed as academically uninteresting elite bilinguals in the scientific literature, as opposed to speakers from lower socio-economic backgrounds and of less widely-spoken or prestigious languages. Different though the two cases may be, Boyd (1998) argues that analysing instances of highly successful language transmission could help to provide answers to problems experienced by all, making it an equally worthy case to study. Problems can happen after all, just as they can for monolingual children, and better quality of information is required to avoid cases like Sven as detailed in De Houwer (2009a: 94). Sven’s highly-mobile parents expected their child to pick up several languages easily despite changing location and caregivers at frequent intervals during his early years. By failing to provide sustained input and opportunities for interaction in the desired languages, their son’s acquisition of the different languages he had come into contact with was incomplete, which was a cause of distress for both parents and child. 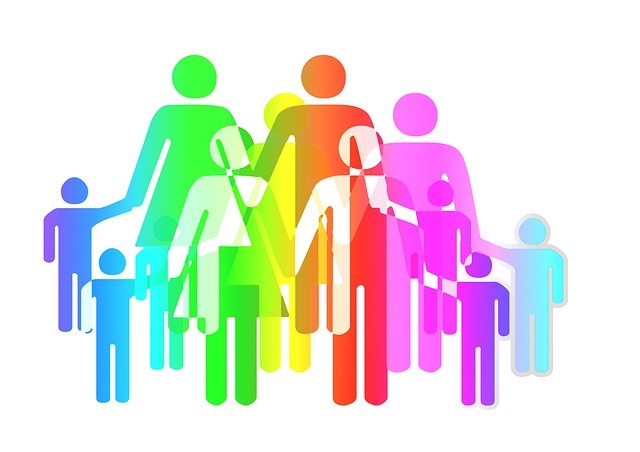 The PhD project Family Language Policy and Globalisation seeks to identify family profiles according to language use and contribute to academic and parental understanding of plurilingual linguistic development. For information about the key ingredients for successfully raising bi-/tri- or plurilingual children, visit the project blog where more relevant information and insights can be found. Boyd, S. (1998). North Americans in the Nordic region: elite bilinguals? 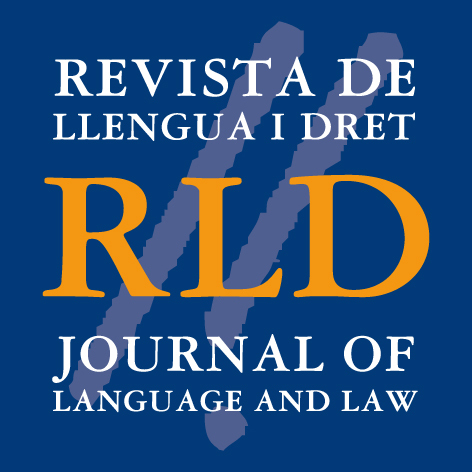 International Journal of the Sociology of Language, (133), 31–50. De Houwer, A. (2007). Parental language input patterns and children’s bilingual use. Applied Psycholinguistics, 28, 411–424. De Houwer, A. (2009a). An Introduction to Bilingual Development. Multilingual Matters. De Houwer, A. (2009b). Bilingual First Language Acquisition. Multilingual Matters. Yamamoto, M. (2001). Language Use in Interlingual Families: A Japanese-English Sociolinguistic Study. Multilingual Matters.